In need of expert Bellingham burst pipe repair services? Contact the certified professionals at Eagle Plumbing & Heating at (360) 318-9999. For discounts and savings on our services, click here. Due to extremely cold weather and other unforeseen issues, pipes can burst, causing severe damage to your property and potentially endangering the lives of those you love. In many cases burst pipes can be avoided by taking precautionary measures and ensuring that your home’s plumbing systems are well maintained and inspected regularly. However, even with proper care, burst pipe emergencies can still occur, which is why it is important to have a trustworthy plumbing company that you can call anytime in the event of this troublesome situation. Eagle Plumbing & Heating offers fast and effective burst pipe repair services to the residents of Bellingham and the surrounding areas. Our knowledgeable professionals will fix the problem and help to ensure that it does not happen again. 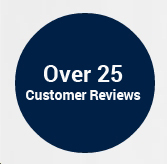 To see what your neighbors are saying about our various services, click here. Pipes can burst for any number of reasons. Extremely cold temperatures can freeze the water inside your pipes, causing them to swell and eventually rupture. Increased water pressure can put a lot of stress on your pipes as well. In many cases this intense water pressure is created by a severe clog within your system. Serious clogs can cause pipes to expand beyond their natural capacity, which ultimately leads to a burst, as water pressure builds in an attempt to pass through the obstruction. Older pipes have a tendency to rust and will continue to wear down over time, if not taken care of in a timely fashion, this avoidable situation will result in a major plumbing emergency. An additional issue that can cause your pipes to burst is if they were improperly installed, which is why it is valuable to consult with the professionals at Eagle Plumbing & Heating in order to determine whether your pipes are functioning efficiently. There are a number of preventive measures that can be taken to reduce the risks of bursting pipes. First and foremost, minimizing the chances of freezing pipes is incredibly important. Caulk can be placed around your pipes to reduce the possibility of this particular issue. Sealing vents used in the foundation is an additional precaution that can be taken. Extra insulation around your pipes and fixtures will also help to protect them during the colder months of the year. Keeping your faucets at a slow drip during colder weather can also keep pipes from freezing. If you retreat to a warmer climate during the winter, your pipes can be drained and then shut off. Once the pipes are drained, your main valve can be shut off valve as well. Leaking pipes should be repaired immediately in order to avoid a more serious issue. At Eagle Plumbing & Heating we offer professional unclogging services, which will additionally help to maintain the integrity of your pipes. What can professionals do to repair your pipes during an emergency? Once our skilled professionals arrive, they will identify the cause of the incident, in order to help contain it. After the problem has been contained we can asses the damage, determine the best method of repair, and begin our service. Severely damaged pipes may have to be removed and replaced with a stronger alternative. Copper or PEX pipes are extremely sturdy and can last for years without any complications. After we have performed our service our professionals will test the pipes to ensure that they are working efficiently. We will also educate our customers on the proper ways to care for their pipes in order to avoid future emergencies. For proficient burst pipe repair services in and around Bellingham, contact the certified professionals at Eagle Plumbing & Heating. Call us anytime at (360) 318-9999.